Christmastime at the French premium pay TV channel CANAL+ means lots of irresistible programming for the holidays. 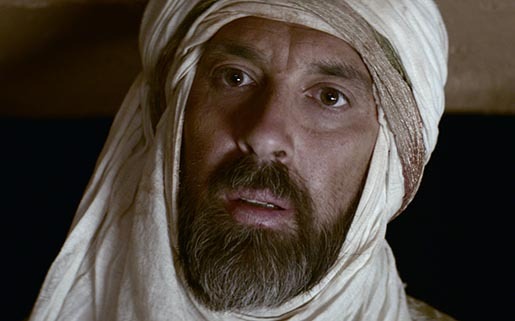 Believers in the power of entertainment, BETC Paris and CANAL+ present “The Wise Man”, the 2013 Christmas film, to remind us of what our favourite holiday is really about. In this scenic Christmas tale, directed by Gary Freedman through The GlueSociety/Wanda (who also directed “March of the Emperor” in 2006), we meet a wise man on his journey through the desert, guided only by a shining star. Struggling on his not so helpful camel, he is eager to arrive in Bethlehem on time. The Wise Man ad was developed at BETC Paris by creative directors Stéphane Xiberras and Olivier Apers, art director Francis De-Ligt, copywriter Nathalie Dupont, media planner Coralie Chasset, agency producer David Green, agency management team Bertille Toledano, Guillaume Espinet, Elsa Magadoux and Marius Chiumino, working with Canal+ marketing team Alice Holzman, Élodie Bassinet, Anne-Gaëlle Petri and Guillaume Sionis. Filming was shot by Glue Society director Gary Freedman via Wanda Productions. Sound was produced at Gum. The film was shot in the south of Morocco, in the deserts near Merzouga and in Ouarzazate.